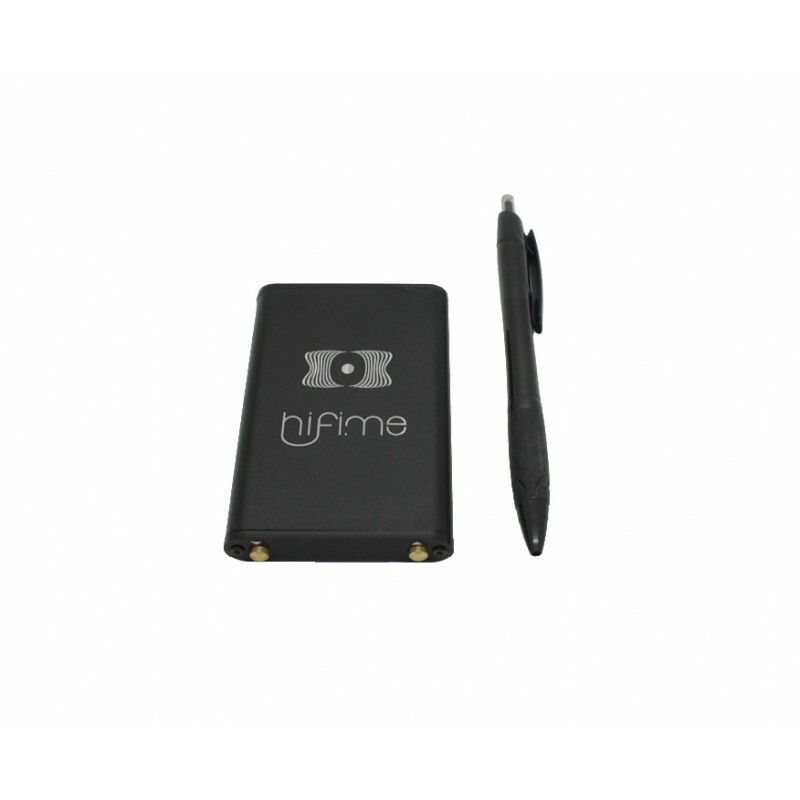 Hifime 9018i dac is a i2S dac with the ES9018k2M DAC chip used in IOUT mode with the Analog Devices OP275 Op-Amp. 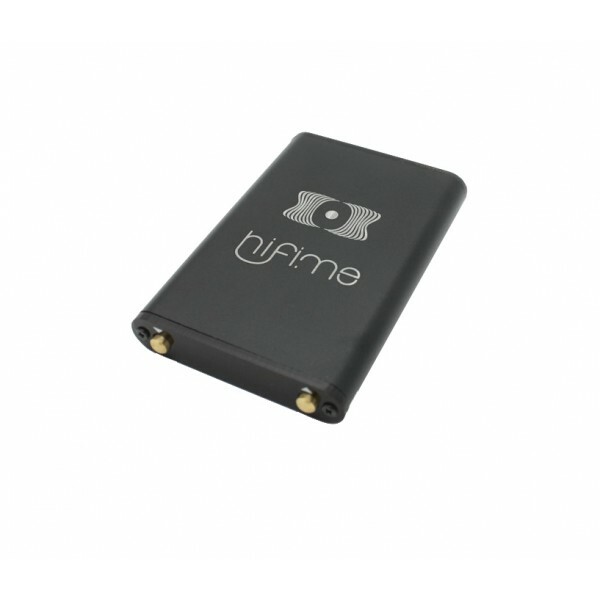 The i2s signal is received using HDMI input, compatible with HDMI output from our UH-1 DAC or the USB to i2s (HDMI) device UH-1 Digital (note: it's not compatible with regular HDMI output from tv's etc). It features 255 step lossless volume control (volume adjustments done by the DAC chip) and a display showing the sample rate and volume level. The ES9018K2M DAC chip is the same we use in our 9018 and 9018D USB dac's. This DAC chip has great specs like 127dB DNR, -120dB THD+N and patented Time Domain Jitter Eliminator. Hifime 9018i uses the OP275 Op-Amp which is famous for is tube like sound, and is a great match to the great detailed output from the ES9018K2M Sabre chip. It is a line level output but it does also work with many headphones. The output is 2Vrms and 35mW from 32ohm. This dac can play any i2s signal up to 384kHz and it can also play DSD format. This DAC utilises a ultra low power MCU chip to control the volume level output from the DAC chip, from 0-127.5dB in 0.5dB steps. Using a digital volume control this way will be better than an analog one unless you have a analog volume control that has a lower noise floor than the DAC itself. You would need a exceptionally low noise analog volume control to beat the Sabre chip impressive -127dB. The display shows the sample rate and the volume level. The brightness can be adjusted by pressing the left button while power on. The volume up/down buttons works in a fast responsive way, just push and hold, you don't have to keep pressing several times. 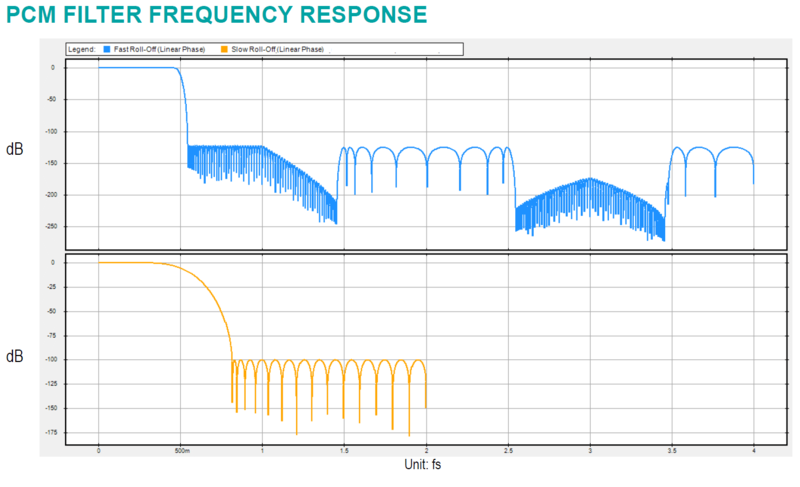 The ES9018K2M support selection of PCM filter frequency response. Chose between Fast and Slow roll-off. See this illustration (link). Hifime 9018i dac is a i2S dac with the ES9018k2M DAC chip used in IOUT mode with the ..
TK2050 is the chipset consisting of the TC2000 controller and the TP2050/STA510 output sta..
Hifime 9018D dac is similar to the smaller 9018 but has a higher max output sign..
Introduction The HiFime UH1 is made by the same HiFimeDIY team that you know. We simply dro..
Introduction This is the UH1 without the DAC part. It is a pure high quality USB to i2s/DSD..